Are you wondering why we are reintroducing SANJAMB to SA? Although many of the roots of Scouting originate from South Africa, South Africa has never hosted a World Jamboree. South Africa has also not held a National Jamboree (SANJAMB) since 2001. Many of our member ask us why we don’t host these events in South Africa. Before we can even consider to host a World Jamboree we first need to hone our skills and organise a few National Jamborees. Therefore we would like to share our plan with you and invite you to join the SANJAMB Organising Team. Find our more here! Why should South Africa host a World Jamboree? The World Scout Jamboree in South Africa is our dream. But it is not something unreal. For many years South Africa and SCOUTS South Africa (SSA) have constantly been changing. 24 Years of democracy has been a time of hard work for us. Today, a generation of young people who were raised in the first years of democracy are ready to take responsibility for the future. THE TIME OF THE YOUNG AFRICA IS COMING! We feel that South Africa, strong with the energy of young people, can transfer the idea of inspiration for scouting. We want to supercharge Scouting with incredible adventures and inspire the youth with our ideas. Together we want to carry out an educational event that will stay in the positive memories of young people from all over the world. In 7 years from now we must decide whether or not to submit an application to host the World Scout Jamboree in South Africa in 2031. SSA would need to make its own decision to apply, by early in 2021. We want to prepare ourselves well for that. In order to realize this dream, SSA need to develop the expertise in planning and running big Scouting events. There are fortunately still people in the movement that were part of the planning and execution of the previous SANJAMB event and have offered their expertise. It will therefore be necessary to hold a number of SANJAMB events before considering applying to host a World Jamboree. The table below depicts what is possible. In order to proceed along the path to potentially hosting the World Jamboree in South Africa in 2031 the following would need to take place. SSA needs to host several SANJAMB events and Jamborally’s to prepare for a much bigger event. The first SANJAMB could be at the end 2017. It is noted that there might be a National Rover Moot in Cape Town in December 2017 and the dates will not coincide. That could give international visitors the chance to participate in both events. The plan is to include as many people as possible from around the country in the planning of SANJAMB events and ultimately a World Jamboree. To do this we have decided to use the technology available to SSA. The planning will therefore take place online using the Microsoft 365 platform which includes SharePoint and other applications. We believe that it may not be necessary to have as few as possible face to face meetings and can therefore involve people from around the country. Team members will be able to complete their tasks and receive feedback without having to wait for the next meeting. This should speed up the planning process. The planning team which will evolve over time will be made up of Operational Scouters, Rovers, Administrative Members, Parents and other persons who would like to contribute to the process. We have identified several key positions that will form the basis of the initial team. We may appoint more than one person in many of the teams to share the work load and form sub teams. We plan to find work for everybody that wishes to assist with the planning. By applying to be part of the planning process, does not commit you to actually being at the event and assisting at the event. Staff for the events will be sourced once the needs have been established. This will be the first time that SSA has organized an event online using Internet technology. Team members only need access to the internet and do not need special software. Team members will be trained to use the platform effectively. The following is a list of roles we wish to fill immediately to commence the planning of a SANJAMB event. If you believe another role is required, please apply for that role with a motivation for why this role is needed. Participant Registration and allocation to sub camps etc. Adults that are not warranted will need to complete an Affiliate Membership form which binds the adult to the member code of conduct and policies, but does not require the adult to undergo any training. 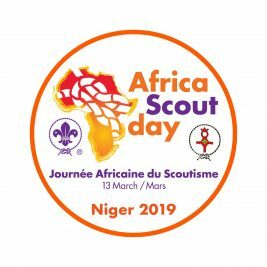 The initial committee will start by developing the framework for working towards a SANJAMB event, Africa Jamboree and ultimately a World Jamboree. We are encouraging young adults to become part of this team. Bear in mind that Scouts attending a 2031 World Jamboree are currently 2 years old and younger or not even born. The team needs to consist of experienced adults as well as young adults to continue with our vision. If you wish to be part of this exciting journey and not sure of which role to apply for then still apply. As we move forward, more people will be required and you may then be called upon. You will still be able to help others and provide input as the planning progresses. Send an email with the following information to sanjamb@scouts.org.za . All applications will be acknowledged. Applications to be received by the 30th November 2016. Applicants will then be contacted for interviews and briefing on the process to become involved. Although the festive season is upon us, we would like to establish the initial team before the middle of December.